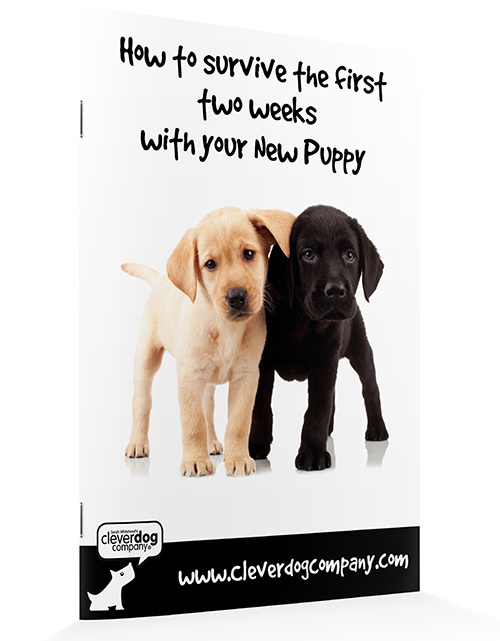 Clever Dog Company® run an exclusive chain of puppy and dog training classes in the South of England under the guidance of Sarah Whitehead – Certified Clinical Animal behaviourist, and international lecturer on this specialist subject. All the classes use clicker training and offer the most modern, fun and easy methods of training available. All puppy and dog training classes are small in number to ensure that we can offer the best in individual attention. We want you to have a successful and rewarding relationship with your dog, and believe that classes should be fun, informal and enjoyable as well as kind, fair and effective! No shouting, no choke chains, no stress! We have a maximum of eight pups or dogs in any one class, taken by a fully qualified Clever Dog Company®Instructor – usually with one or more co-instructors or assistants. Do you have a puppy?